Stay in sync with your bank – Automatically download, categorize, and reconcile bank and credit card transactions. Track your expenses – Record expenses for tax time, You can even photograph and save receipts with your phone. Access on Multiple Devices – Access your data anywhere, anytime, from your iPhone, iPad, Android device or browser. Work together wherever – Securely collaborate with your team or accountant online. Files sync to allow simultaneous use. Know the state of your business – See your Profit & Loss, Balance Sheet, and dozens of other reports in one click. Multiple User Access – Grant access to up to 5 users and set permission levels for each individual. 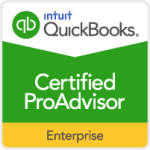 Our accounting software is what put us on the map. And while we’ve grown to provide full business management software, we still offer powerful accounting features that let you invoice, budget, report, pay bills, complete sales orders, manage receivables, and more. Whatever your accounting needs might be, we’ve got you covered. Run your most critical reports with ease – Advanced Reporting1 makes it easy to run your most critical business reports. Industry-bundled templates for manufacturers, wholesalers, contractors, and retailers help you quickly find the right report. Template reports auto-filled with your company data save you time. Plus, our robust help portal offers the reporting answers you need, when you need them. Bill Tracker – Get a snapshot of your bills in one place. You’ll see what’s on order, what you owe, and what you’ve paid, so you can stay on top of your money. No need to gather and manually combine several reports. With Bill Tracker, you can take immediate action on unpaid bills, batch email purchase orders directly from the Bill Tracker list, and filter by transaction or vendor. The data is all real-time, so you’ve got everything right there. Payments Screen Search Options – Forget scrolling through multiple pages of customer transactions to find a payment by date. You can now sort any column in the payments screen (date, order quantity, order amount, amount due, payment) and quickly find the transaction you’re looking for. Auto-Copy Ship-To Address from Service Order to Purchase Order – Avoid manually inputting addresses from your Service Order into your Purchase Order with the new auto-copy ship-to address function. When creating a purchase order from a sales order, simply check a box to copy over the ship-to address. 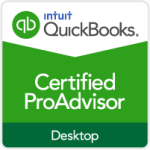 QuickBooks Enterprise will remember your preference, so the auto-copy box will be checked for you next time automatically. Single-Label Printing Capabilities – Printing just one label is now fast, easy, and efficient. Our new single-label printing capabilities give you the freedom to print barcodes, address labels, and more on single, continuous feed label printers, such as Zebra. E-Invoicing – A smarter solution for sending invoices and recording payments. Now, email invoices to your customers with a Pay Now link. All completed payments will be automatically applied to the invoice record, making invoice tracking a snap. Assembly Shortage Report – Know what you need, when you need it with our updated Individual Assembly Shortage report. We’ve enhanced it to include more helpful information, like quantity on Sales Order, quantity for Assemblies, quantity Available, quantity on Purchase Order, and Next Delivery Date. Enhanced Inventory Troubleshooting – It’s easy to view, analyze and make adjustments with our improved inventory troubleshooting process. You can also check for negative inventory by seeing if you had negative values as of a specific date, or at any point during the evaluation period. Batch Delete, Entry, and Reclassify – Misclassify a large number of transactions under the wrong department or office? Fear not. With our batch reclassify and entry tools, you’ll be able to fix or enter transactions in bulk. Plus, our batch delete tool can save you even more time by allowing you to void or delete numerous transactions at once — new in 2016Powerful Tools for Accountants — Now Available for You – We’ve unlocked several key tools previously reserved for accountants, to give you even more control over your books. Manage your lists more actively with our review list changes function. See what’s been added, changed, and deleted in the Chart of Accounts, Items, Fixed Assets, and Payroll Items lists. More easily segment your books by time and year with period copy reporting capabilities. Need to provide data from 2012 to 2014? Just specify these dates and make a focused copy of your data file using only the info you need and none that you don’t.